DataLoad is powerful tool used by non-technical and technical users alike to load data and configuration in to ERP, CRM and operational systems such as Oracle E-Business Suite. These help pages are the primary source of information about DataLoad and how to use it. 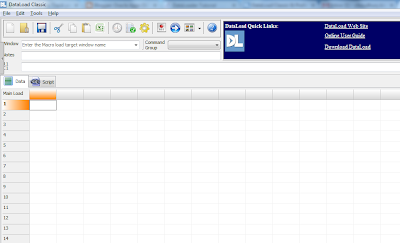 Follow the section links above and the menu links on the left to find more information about using DataLoad. Data Validation: This feature will help people more who are going to deal with complex set of data and where validation is more important. 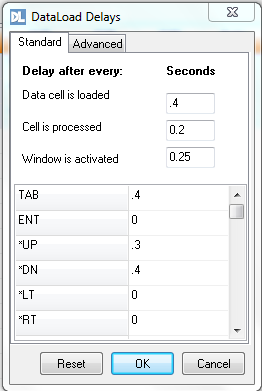 If system works slower than the mentioned delays then, it will not throw any error and dataload will continue. 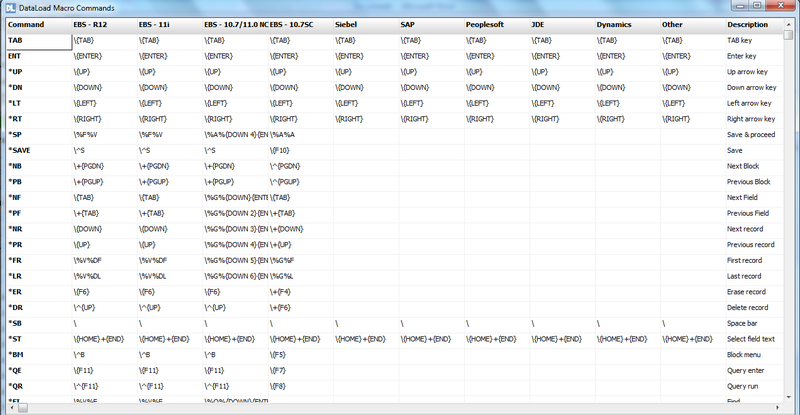 So there might be chance, dataload will be wrong or wrong data will be loaded in -wrong fields. So need to monitor the process. 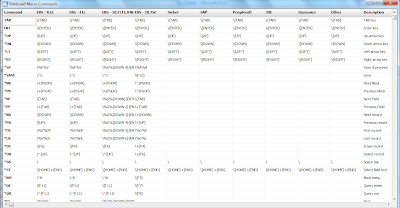 This is the main window, where you need to put all your data and have to mention the commands. Make window the new target window for DataLoad. Position the mouse at coordinates and press the left button. Position the mouse at coordinates and press the right button. Position the mouse at coordinates and double click the left button. Note: One important feature which we need to use as per the application speed is Delay. 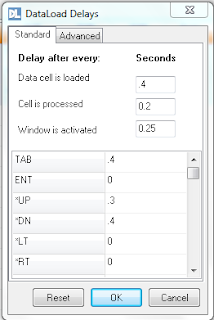 You might have realized, sometimes after entering data in Oracle application when you hit TAB or down key or up key as per your requirement, it takes bit time to process and then the cursor moves to the next field. Exactly the same thing we need to define in the dataload too. 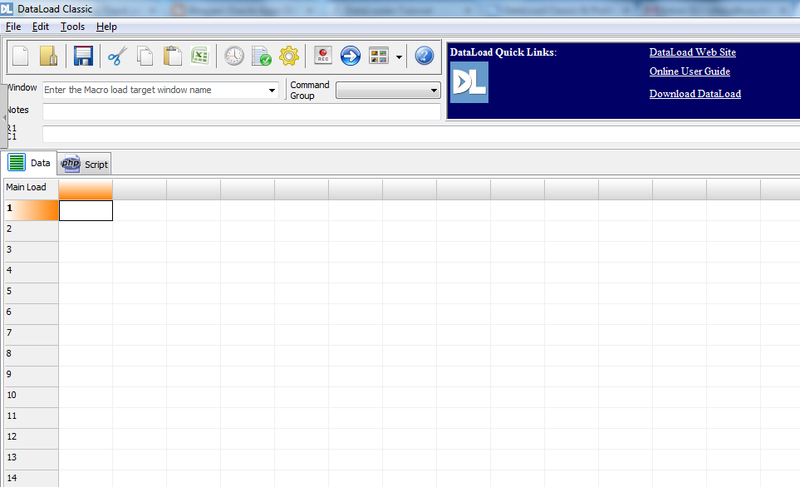 Because the dataload application will execute all command and data as mentioned in the data sheet without any time gap. 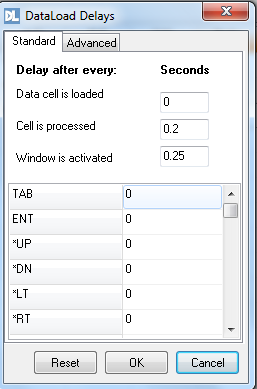 So suppose your application need 0.5 second to process after hitting TAB but in dataload , its 0 second, then what will happen, data load will copy the data of the field and try to paste and take the data from the next field and try to execute in the window but as your application takes bit time to execute the commands, data canot be loaded properly. So to avoid this situation, dataload provides the option of giving manual delay times. Here you can mention the delays. Now your data load is success.